For the friends of our blog, the miniatures of the Tyrrell Ford 012 from the Formula 1 of the year 1984 are not new, because Minichamps has already released one or the other version of this race car. 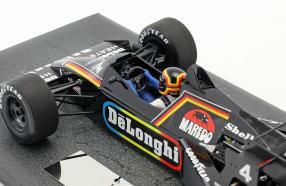 In the past week, the series of the British GP was extended, with which Stefan Bellof achieved the eleventh place in the race on July 22nd, 1984 at the 4,207-kilometer Brands Hatch Circuit. That however was denied him and his team Tyrrell Racing Organization: It was the consequence because the ballast in the tank was judged illegal. 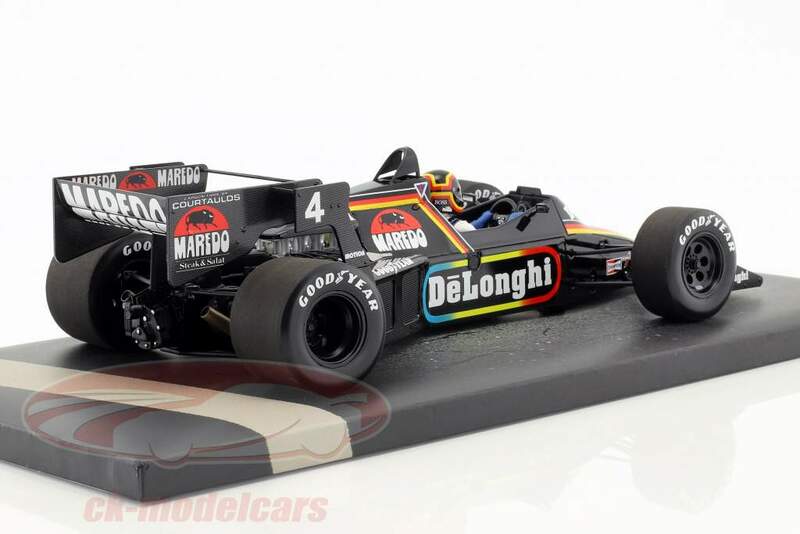 The modelcar does not only convince with its perfectly bodylines, but also with the details of the Cosworth V8 miniature: the replica of the intake manifold, the spark plug wiring and the grille trim above are an absolut eye-catcher. 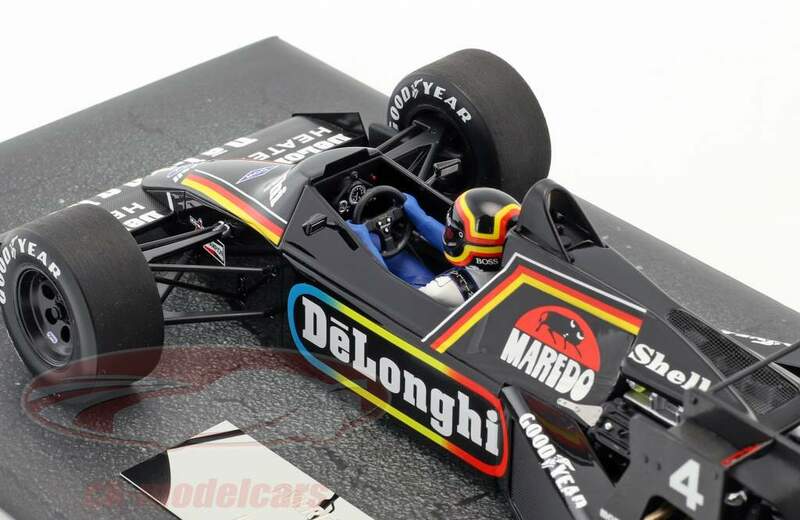 Of course, the miniature with the article number 117840504, also features a driver figure in the prototypically designed cockpit, which in this case carries the helmet, designed by Bellof's partner. 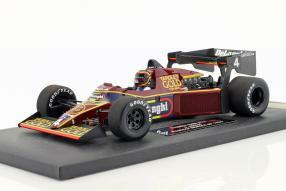 And this leads us to another topic, actually a part of the private life of Stefan Bellof. 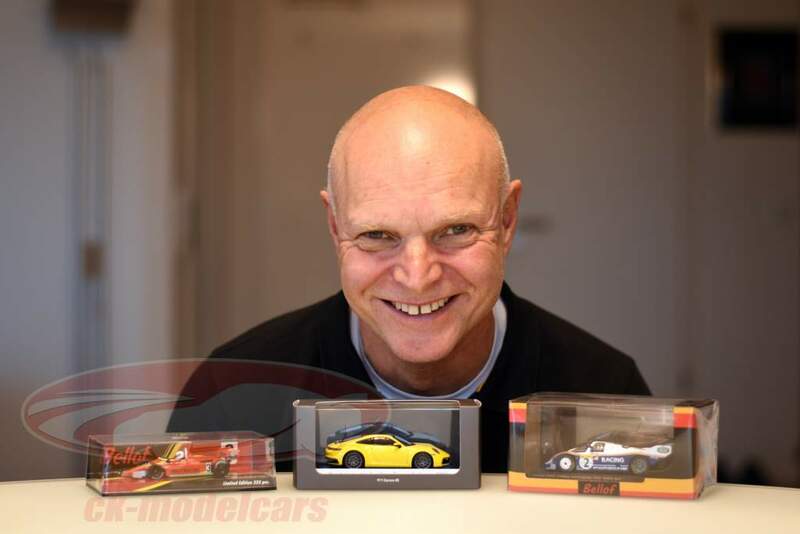 We have found an article for you that deals with the modelcar of the unforgotten racing driver from Gießen: His brother Georg "Goa" Bellof knows about it to tell a lot of new things, which can be read on the website, which cares about the memory of the still very popular motor sportsman. The fact that miniatures of the new Porsche 911 of the 992 series also play a role here, is attributable to Goa's professional activities: He works as an instructor for Porsche and has already tested the sports car. Have fun while studying this article!